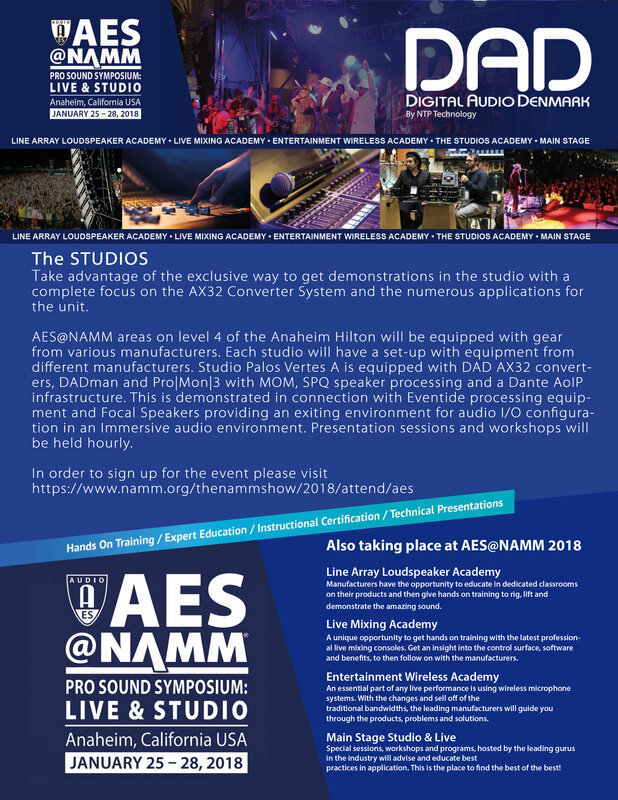 plus24 and DAD are proud to support the brand-new AES@NAMM initiative where two of the greatest pro audio organisations, The Audio Engineering Society and NAMM, join forces for the first time. 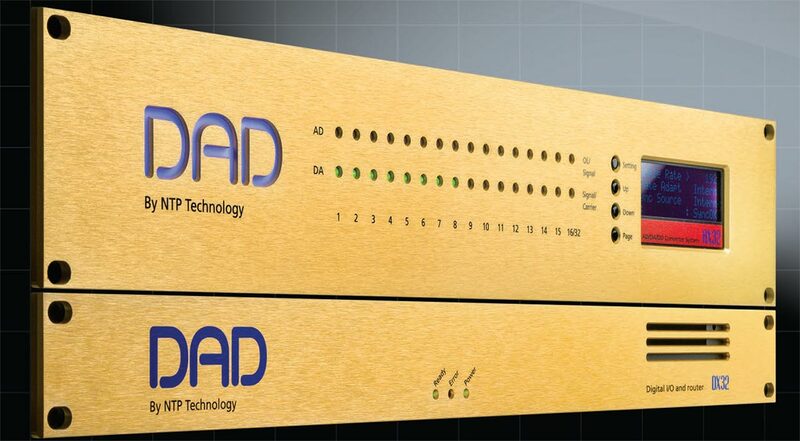 From January 25-28 , 2018, we will be a part of the Pro Sound Symposium: LIVE & STUDIO in the Palos Verdes A Suite (Level 4) at the Anaheim Hilton. 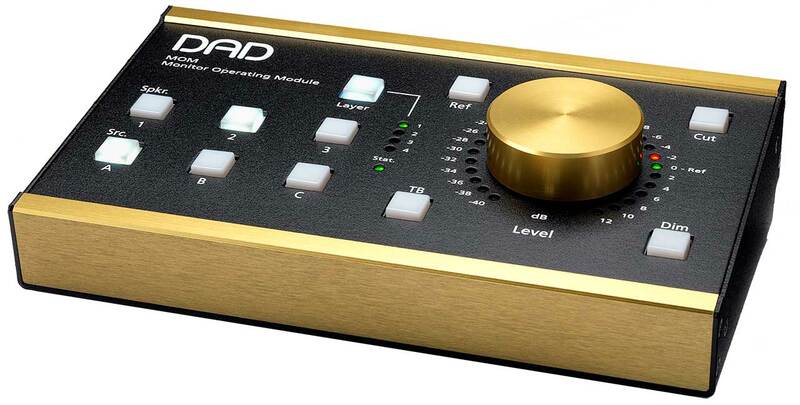 Here we will demonstrate AX32, MOM, Pro | Mon | 3 and SPQ, the AX32 Converter System that is the perfect centerpiece for your sound studio. 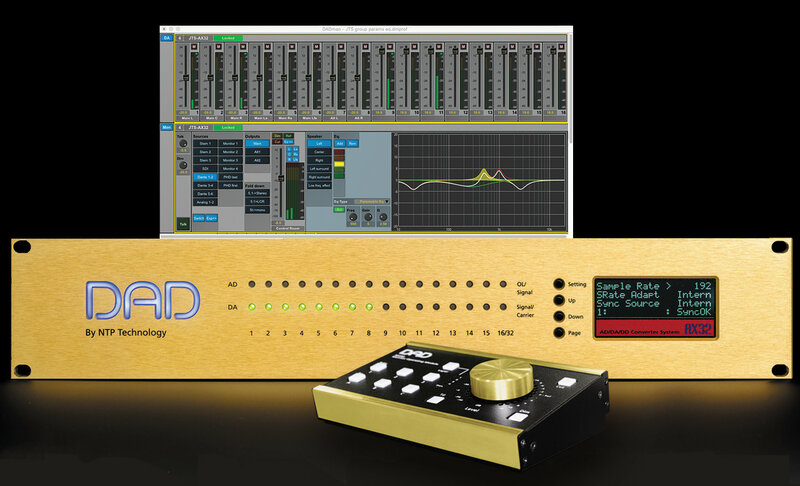 New Pro | Mon | 3 monitor control software for the AX32 audio-routing and converter interfaces, along with the MOM hardware controller and speaker-correction processing for up to a full 64 channel Dolby Atmos setup, is here.